Whether you prefer sitting on a beach with the laptop or touring historical monuments with your iPad; keeping your tech safe while you travel is not always making sure that your digital camera is still in its case. When you are heading out on your next holiday, take these few hints with you to make sure you don't get stranded abroad. One of the most important things to remember is that you need to make sure that you have the right chargers and adapters. I remember going on a cruise with a British cruise line and not realising that despite it being a British company catering for British passengers; that the plug sockets in the ships bedrooms would be European. 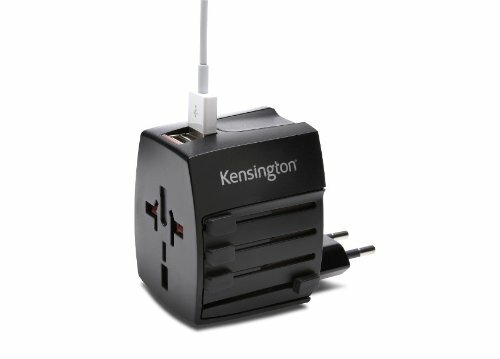 The great thing about that is that the cruise company can make a fortune in selling expensive travel adapters, but obviously if you want to save on the cost then you should think about buying cheap adapters on sites such as Amazon where they are cheap enough to be disposable. Top Tip - also make sure you carry USB charging cables for your devices if you have them. Tourist resorts sometimes have USB wall sockets in the same way that you might find a standard 2 or 3 pin plug. I have even taken to installing these in my home! How many of your accounts occasionally log you out? If you use GMail on your Android device then you will find that devices might need verification every 30 days. When you log out and log in it will reset that counter, meaning you can enjoy a week on the beach of Costa Del Sol without worrying that you will get prompted for that other permanent log in code that you left in your room. The problem with having your e-mails locked is that you will probably have all your travel documents on them as well as copies of your passports, hotel reservations and insurance. One example of this was from travel blogger Megan Claire who found herself blocked out of her Outlook account. The Outlook account was the one connected to all of her blogging exploits and the income streams that result from her extensive travels and the one that got blocked twice in three weeks because of her globe-trotting. Sign up for a second GMail account - not to be used for anything but authentication codes. You can access Google Voice from any device, so you will always have your access. As far as I am aware this trick is only available in the US although I am happy to be proved wrong. You could also try the same trick if you have a Skype personal number. It is not just your e-mail accounts that could leave you locked out in the cold, although GMail is another top problem causer here. Many of your social network services, bank accounts and even World of Warcraft have a reliance on 2-factor authentication which involves your mobile phone. You probably keep your mobile phone charged as a matter of course, but if you are delayed in an airport lounge or stuck on a train with very little signal then your phone will quickly be depleted. 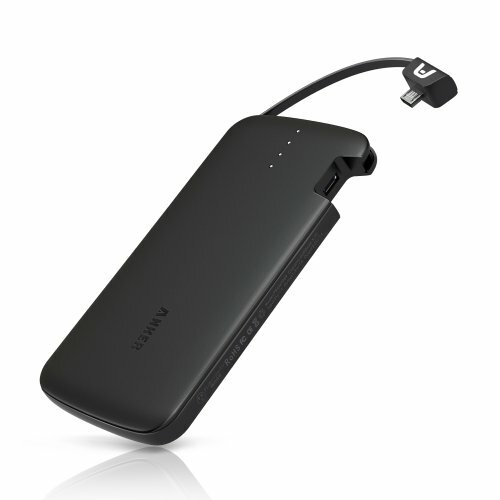 One of the ways that you can avoid losing battery is to have a fully charged external spare battery. For a relatively inexpensive cost you can charge your mobile phone a couple of times and keep your device alive. This is a perfect spare battery that can charge micro-USB charged devices from the inbuilt adapter or most other devices using a standard USB cable. Despite the best efforts of many countries for their mobile phone services, some others still lack largely behind. One of the other problems though is the companies that rely on text messaging. Anecdotal evidence suggests that the likes of GMail and Twitter do not seem to like sending text messages when you are out of the country. If you are going to rely on your mobile phone abroad it is also a good idea to check what you are going to be charged for and what you are not. Believe it or not, even mobile phone companies owned by the same group have to pay each other for any international roaming access and so even though you might be using the Vodafone network in Italy, you will still get charged a lot for using your Vodafone UK or other countries mobile number. What you will and won't be charged for largely depends on your cell phone provider, your specific tariff and where you are going. Some companies will allow you to roam a small number of countries using your contracted allowances, whereas others use specific cell phone technology that is not widely used. If you are not sure of the latter, there are a few sites such as Will My Phone Work, which will give you a good indication of whether your phone will work if you answer a few simple questions. Turn off your phones data service before you leave - mobile phone handsets vary by how you do this. Handsets usually allow for "wi-fi only" use as well. If you are staying in a particular country for an extended period and simply must have immediate and continual access to Facebook, then you could look out for local Sim cards. This will require your phone to be unlocked and your mobile phone network will be the first place to start if you are not sure. Just because you might change your watch, don't try to change your region or country settings while you are abroad. Just because you might be in a different country it does not meant that your app store will act any differently and it is likely to cause issues if you are using apps or updates that are specific to where you call home. In the case of iTunes, you will find that to change country will require a payment method in your host currency. Unless you are staying for a few months then it is unlikely that you will find it worth the hassle of either getting a bank account or credit card, or indeed paying out for an iTunes voucher which at least in the UK are not cheap enough for simply buying one or two apps. If you are a Google Play user, then you will not be able to change country if you have a large balance on your account, nor if you are signed up for Checkout Merchant in the US. It is possible to do though, again if you remove all your default payment cards and reset the settings on your Google Play account. There are some apps though that might literally be a lifesaver when you are deep in the Parisian suburbs or about to B.A.S.E. Jump off the top of Angel Falls. If you are taking a Kindle or even a smart phone or tablet that has the Kindle App; then don't forget to load up on Lonely Planet Guides before you leave the comfort and safety of unlimited home wi-fi. You could even browse your Google Play Store, iTunes or other favorite app provider to see if there are local guides to wherever you are going, for example on my BlackBerry Z10 I make sure I have my Bus London app up to date when I head to the capital for the day, rather than hope to find a bus timetable nearby. Credit: tiramisustudio / FreeDigitalPhotos.netIf you are going to be taking your bank cards abroad with you then make sure you tell your bank that you are going to travel abroad otherwise they might get spooked and stop your card. A survey from UK Bank Lloyds TSB said that 3 out of 4 cards which get stopped were because they were used abroad without warning the bank first. Like with 2FA with other websites, many banking institutions have the same issue that text messages are not always available abroad. Bank of America for example uses a SafePass system where you you can have higher online banking transaction limits by using a mobile phone based 2FA app and text message; but this is not available abroad. Interestingly, unlike some of your favorite social media sites; you can not exploit Google Voice to use 2FA with Bank of America, so if you travel abroad regularly and use the online phone service you should contact your bank in advance to see if they are similarly restrictive. Keep Your Mobile Number Up To Date! Even if you do not use 2FA and tell your bank about your trip to the drug dens of Columbia; do keep your mobile phone number up to date. The bank wants to keep money safe and if it does see a suspicious transaction there is a good chance that it will want to contact you to try and verify it. Even if it just a basic 2G mobile cell phone; hopefully these few tips will help you to keep them and yourself safe during your next getaway. If you have any other tips that you would like to share then please tell us in the comments box. There are always tips and tricks to get around some technology failures abroad and whether you get locked out of your iPad or find a dodgy London cabbie emptying your credit card; that you can do your best to fix things. Have a Safe Holiday with Your Tech and Don't Get Stuck! This has a lot of great information. I never thought about logging out of all of my accounts online, something I will be sure to incorporate next time I travel abroad. I can certify that telling your bank/credit cards that you will be overseas is very important. Overseas is the last place you want to be cut off from your hard earned money. Thankfully I am not allowed to go abroad that often as I would forget to log everything off, or indeed forget my passwords to log back on! Interestingly, some banks in the UK do not make any note of information when you tell them you are going abroad; which I think very odd.